In Boston, the Tremont Street subway, which opened on September 1, 1897 from Park Street to the Public Garden Incline, was the first subway in the United States. 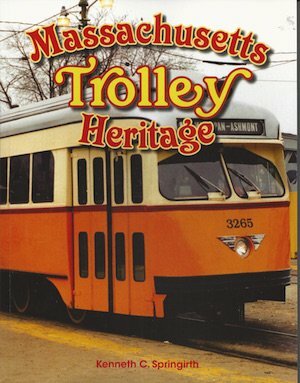 Massachusetts ranked second in miles of trolley car track per square mile of any state in the United States in 1923. At its peak, the Berkshire Street Railway Company operated in the states of Massachusetts, Vermont, New York, and Connecticut. On December 31, 1916, Massachusetts had 38 companies operating 3,185 miles of track with four companies (Bay State Street Railway, Boston Elevated Railway, Springfield Street Railway, and Worcester Consolidated Street Railway) operating 1,962 miles or about 62 percent of that mileage. With the Eastern Massachusetts Street Railway Company ending trolley service in 1948, Boston was the only trolley car system remaining in Massachusetts. 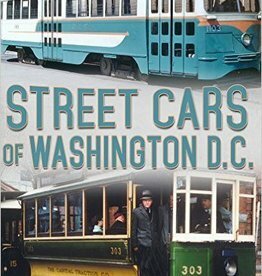 Boston has operated Presidents' Conference Committee (PCC) cars since 1937 which is longer than any other city in the world. 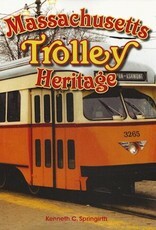 Massachusetts Trolley Heritage is a photographic essay that provides an insight into the once large network of urban and rural trolley car lines in Massachusetts, the current light rail operation in Boston including PCC car operation on Mattapan-Ashmore, the Lowell National Historical Park which uses trolley cars to link historic sites along with the operation of former New Orleans trolley car No. 966 restored by the Seashore Trolley Museum, and the Shelbourne Falls Trolley Museum which maintains the treasured history of the Shelbourne Falls & Colrain Street Railway Company including its 1896 restored operating trolley car. 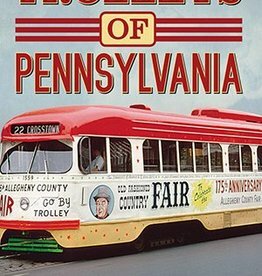 Kenneth C. Springirth, the author of 30 books on railroads and trolley car lines, has an interest in rail history as his father was a trolley car motorman in Philadelphia, and his grandfather was a trolley car motorman in Washington D.C. A native of Philadelphia, he commuted to Drexel Institute of Technology (now Drexel University) in Philadelphia by trolley car, subway, and sometimes commuter rail graduating in 1962. Almost impossible to find elsewhere! Only 9 left, and SIGNED as well!